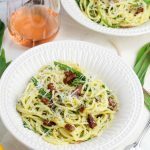 I know it’s the very tail end of ramp season, and most of you have moved on to stone fruits and strawberries, but I didn’t want to let another year slip by without posting this recipe for ramp carbonara. 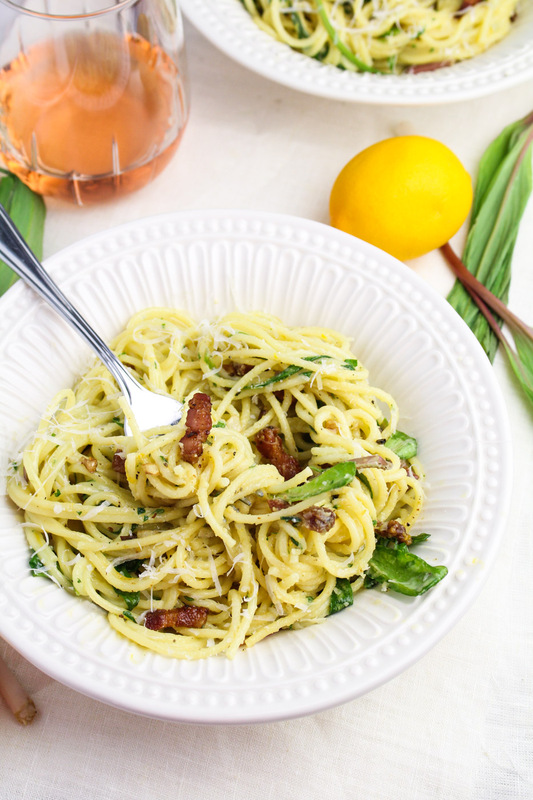 It’s nothing revolutionary, just a simple spaghetti carbonara dressed up for spring. 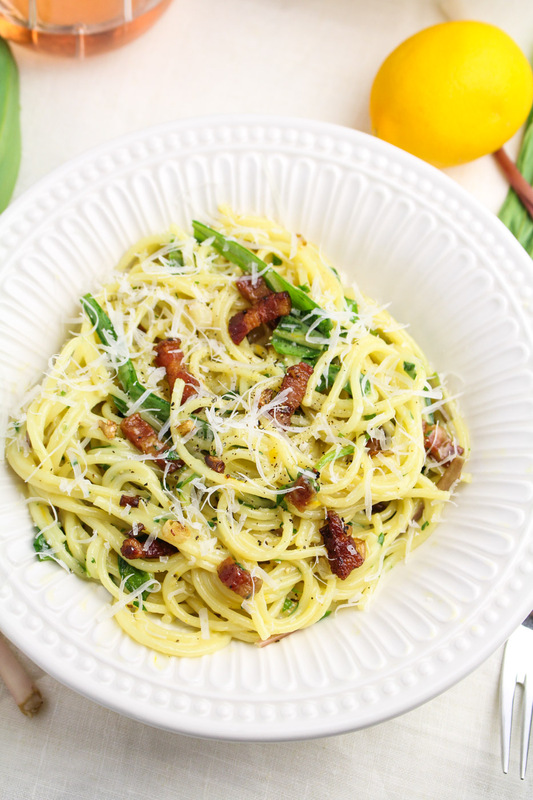 Spaghetti carbonara is one of my favorite meals, rich with eggs and cheese. I probably make it more often than I should, given how indulgent it is, but I love it. I’ve never seen a ramp growing. They have sort of a woodsy mystique about them, one of the first spring edibles to hit the markets, gathered in wild forests some unknown distance away. I picture them growing in quiet, verdant groves, their dark green leaves waving gently in filtered forest light. Perhaps they’ll be the next on the list of foolhardy things we are trying to grow in our little urban backyard. Although, like asparagus, they need several years to establish themselves. I’m not sure we have the patience. I loved the idea of the long, thin ramp leaves winding through the pasta like noodles, so the first time I tried this, I left the ramp leaves whole. While it was beautiful to look at, it left me chewing (and chewing and chewing) big mouthfuls of ramp, which wasn’t particularly pleasant. So this time around, I treated the ramps with a bit more finesse. I sliced the leaves into thin strips and just barely cooked them, keeping their texture crisp. It worked out much better. This came out lovely. While spaghetti covered in cheese is always good, there’s a big difference between a good carbonara and a great carbonara. This one was great. I thickened the sauce with a little bit of mascarpone so it was truly creamy. 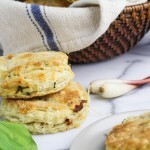 Instead of parmesan alone, I used a mix of parmesan and pecorino. 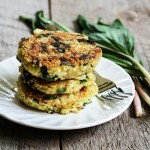 Of course the ramps, swirled into the noodles, made it garlicky and a little special. 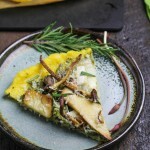 And the finishing touch – a shower of meyer lemon zest – brought it all together. 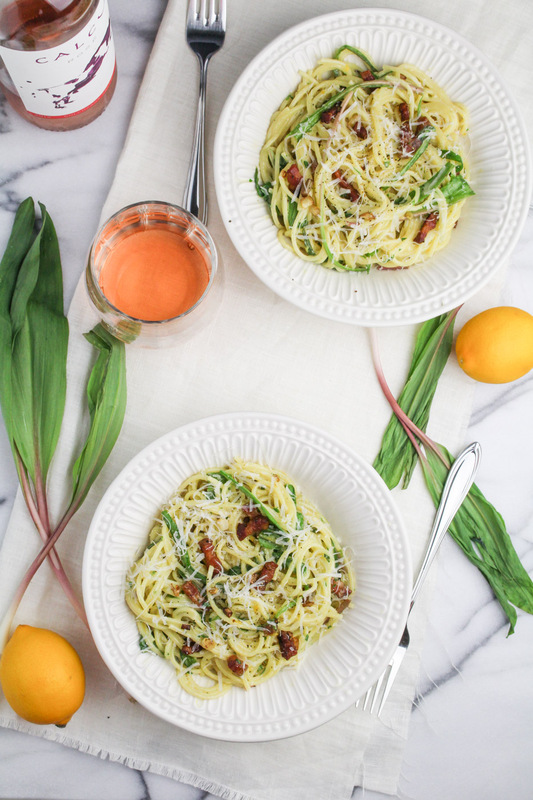 Spaghetti carbonara with a spring twist – whole ramps, pecorino cheese, and meyer lemon zest. Prepare the ramps by washing thoroughly to rinse away any dirt, and gently patting the leaves dry. Separate the round white bulbs from the leaves. Trim any stringy white roots from the bulb and discard the roots, then finely dice the ramp bulb. Slice the ramp leaves into very thin strips, then set aside. Heat the olive oil in a large saute pan over medium heat. Add the diced pancetta and saute until it is crispy and brown all over, which should take about 6-8 minutes. After 3-4 minutes, add the diced ramp bulb to the pan. 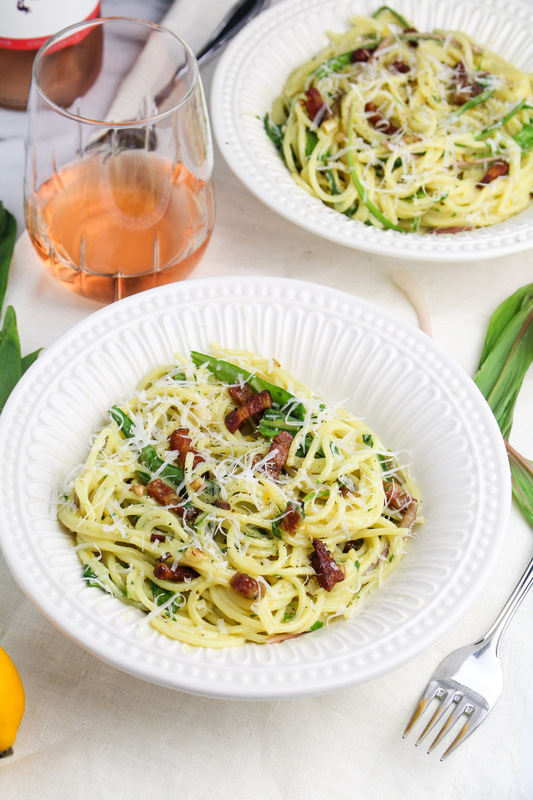 Keep a close eye on the pancetta and stir frequently – pancetta takes a while to start browning but can go to under-cooked to burned in a very short period of time. In a large bowl, whisk together the eggs, pecorino cheese, parmesan cheese, and mascarpone until smooth. 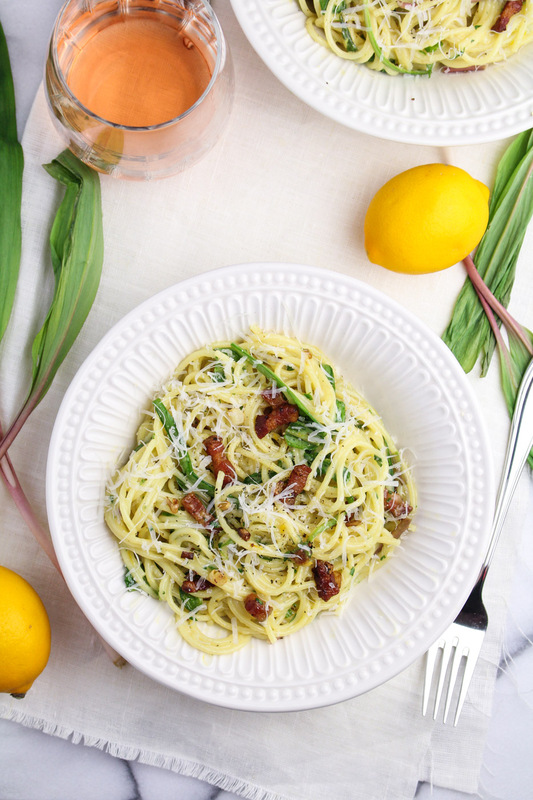 Stir in the black pepper, Meyer lemon zest, and the cooked pancetta. Set aside. Add the spaghetti to the boiling water and cook according to package directions, until just al dente. Drain, leaving just a few tablespoons of the cooking water in the bottom of the pot with the pasta. Add the hot pasta and reserved cooking water to the egg mixture and quickly toss with tongs to create a creamy sauce from the eggs and cheese. Do this immediately after adding the pasta to prevent the eggs from scrambling. Add the ramp leaves to the pasta and toss a few times just to wilt the leaves. Serve immediately.